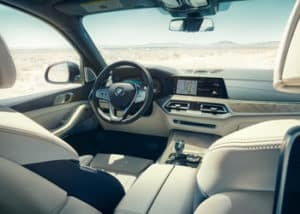 The X7 not only has the distinction of being the biggest BMW ever built, but it provides unprecedented performance, comfort, technology, and luxury. 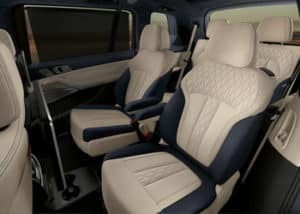 From the expansive interior space to the BMW Intelligent Personal Assistant, X7 has all the extras you would expect from a defining vehicle. The X7 is currently in stock and available at Otto's BMW! 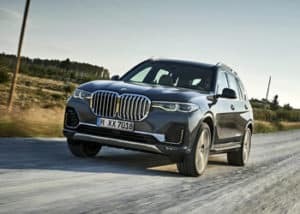 Legendary is the perfect word to describe the new BMW X7. This distinguished, illustrious, and exalted, vehicle is the biggest BMW ever built, but it melds signature BMW style with wheel sizes up to 22″. The X7 is the optimal fusion of luxury and versatility. 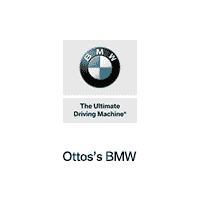 See for yourself by scheduling a test drive at Otto's BMW. Whether the X7 is stationary, starting, or conquering the open road, this new BMW model offers practical luxury. The X7’s electric Power Split Tailgate raises and lowers the vehicle for adjustable loading height. It also offers extras such as the convenient Remote Engine Start and the intuitive Parking Assistance Package. 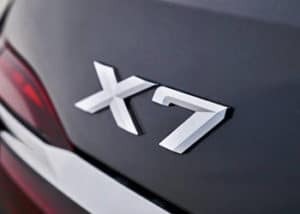 An example of the X7’s optimal fusion between the luxury vehicle and SAV is represented by the X7 being able to handle off road driving without the occupants experiencing the ruggedness of the ride. This is due to the X7’s 2-axle air suspension and Dynamic Driver Control. The X7 offers total control during your journey and does so in style. Whether you’re trying to access navigation or entertainment, the Standard Connected Navigation and IDrive 7.0 Operating System provides all the X7’s luxurious features at your finger tips. Operation is enhanced with optional Glass Controls. 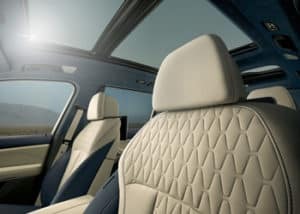 An essential element of both luxury vehicles and SAV is space. Whether you are traveling with others or loaded with equipment for your next adventure, the X7 has a spacious interior for any occasion. With three rows of seating as standard, up to seven people can enjoy spacious comfort. Space is abundant in the new X7, so visit Otto's BMW today for a true understanding of the spacious seating. Ready for the optimal fusion of luxury and versatility? 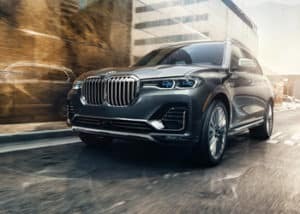 The X7 is here, so reserve your test drive in the BMW X7 today at Otto's BMW.